Gujarat Green Revolution Company limited is an implementing agency for implementation of Micro Irrigation Scheme on behalf of Government of India and Government of Gujarat in Gujarat State through reputed authorized Micro Irrigation System suppliers, who supply and installs the Micro Irrigation System and also provides agro services pertaining to Micro Irrigation System. It aims to bring the 2nd Green Revolution in the state by saving of water, electricity and enhancing agriculture productivity resulting in the farmer's prosperity at large. Candidates who have completed B.E/B.Tech, Bachelor Degree or equivalent from a recognized Institute for GGRC Recruitment 2018. 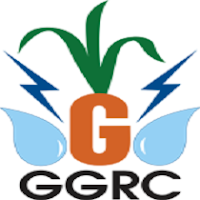 Eligible & Interested candidates can download the Notification & Application form on the Official website page at www.ggrc.co.in GGRC Recruitment 2018.